Lindsay’s wedding to Miten took place in a beautiful Irish castle and included a ‘San-Greet’ function where the American and Gujarati guests mingled and danced together! An impulsive detour to attend a friend’s birthday saw Lindsay and Miten embarking on a journey of a lifetime together. 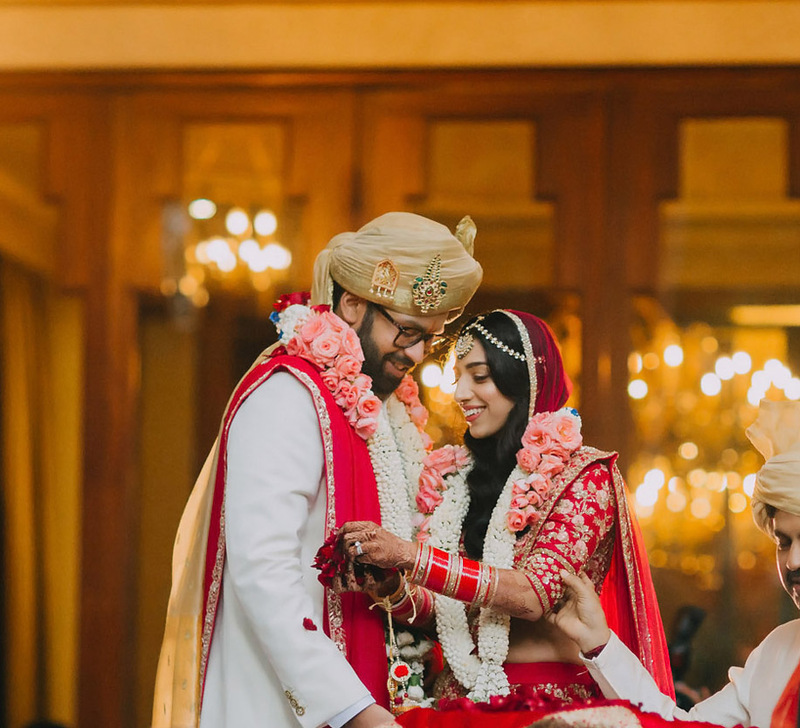 She is American and he is Gujarati, and their two cultures were beautifully represented in their memorable wedding that unfolded in a historic venue in Ireland. In 2014, Miten and his friends planned a birthday dinner in Baltimore for his friend Jon Allen. Lindsay, who is a friend of Jon’s as well, was flying to Washington for work and remembered it was Jon’s birthday. When she called him to plan a time to celebrate, Jon invited her to the party too. Miten and Lindsay ended up sitting next to each other. When she told Jon that Miten was “kinda cute” - Jon took it upon himself to be the best wingman Miten would ever have and embellished her words before repeating them to Miten and got their romance rolling. The two got married at Ashford Castle in Ireland where a royal experience begins the moment anyone walks through the grand stone gates of this remarkable 800-year-old architectural marvel. The exquisite interiors, delicious cuisine and passionate team at the former homes of the Guinness family won Miten and Lindsay over and they experienced a wedding that was exceptional in every sense. 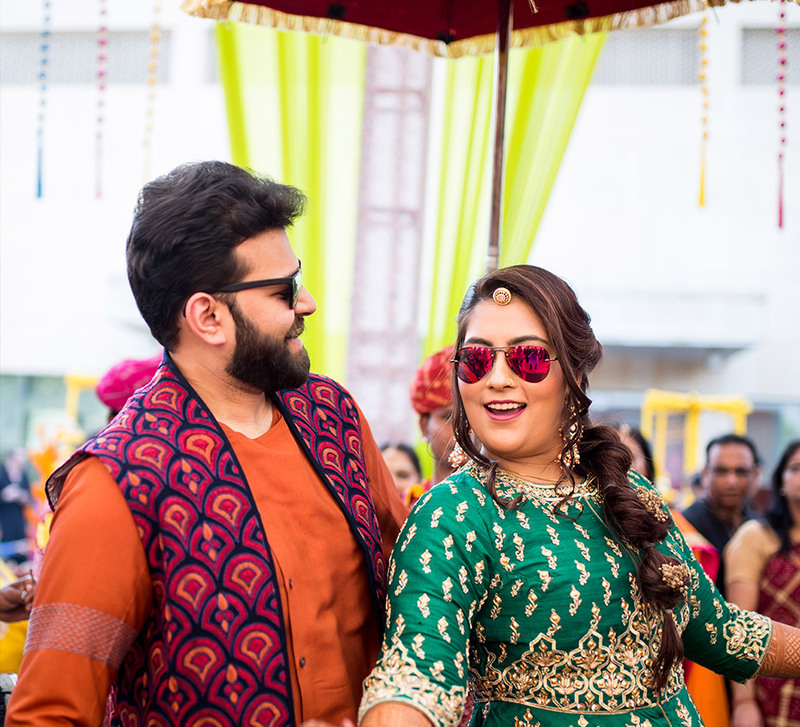 For their sangeet, the duo decided to fuse Indian traditions with American ones by following the night of dancing with a ‘meet and greet’ session with their guests. They called this event the ‘San-Greet.’ Performances on Bollywood numbers filled the evening with excitement and ensured everyone had a memorable time. Lindsay and Miten wed as per Gujarati traditions and their pheras took place against the lakeside backdrop of the castle. Their Indian wedding was complemented by Western-inspired decor in muted colors. All of this was put together by their Wedding Stylist Meha Bharagava of Styl.Inc. The bride’s styling team had Lindsay wear an ivory lehenga with soft pink embroidery and paired it with a blush pink dupatta. Her ensemble was complete with a soft teal floor-length veil that was borrowed from the wedding dress of a Western bride. Miten picked an icy blue sherwani with silver and white embroidery, and his stylist added a stole that matched Lindsay's dupatta. 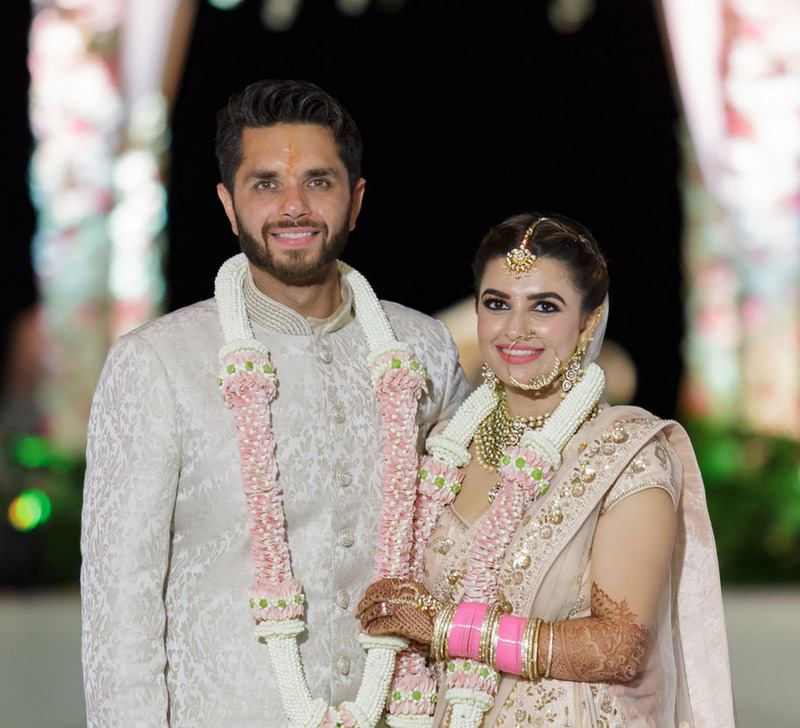 The wedding was followed by a reception where the bride paired her wedding ‘maang tikka’ (head ornament) with a stunning Oscar de la Renta gown and a veil by Caroline Herrera. The groom, on the other hand, was dapper in a black tuxedo. 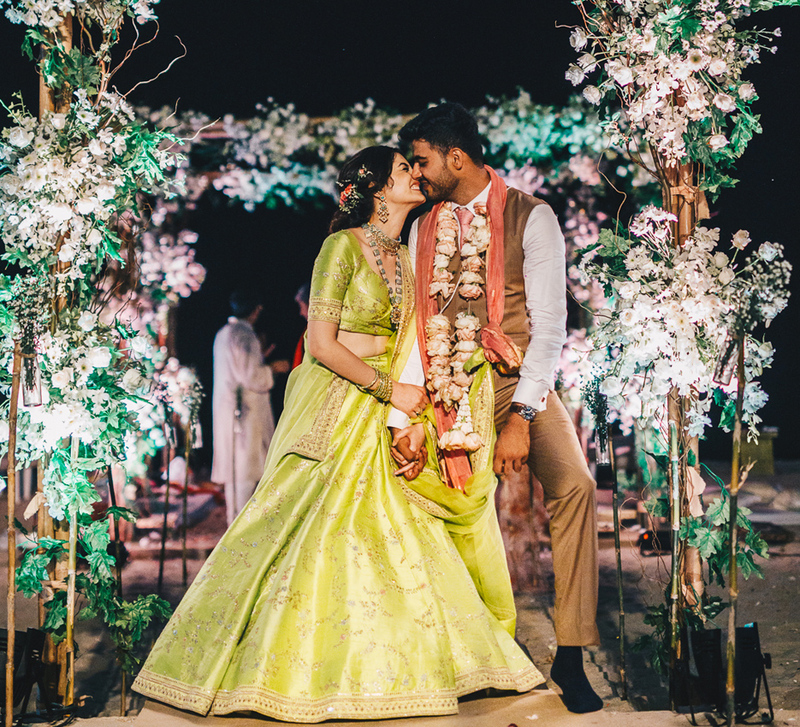 The celebrations continued at a venue by the lake where yellow lights and a rustic-chic setup created a warm setting for the couple and their loved ones.